Centerburg Real Estate - Find Your Perfect Home For Sale! Search homes for sale in Centerburg, OH for free. View all 37 listings available in Centerburg with an average price of $185,164. See Maps, Photos, and More. 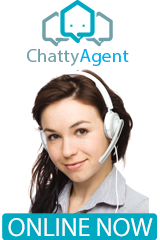 A real live chat operator is online now! We can immediately get your questions answered or make sure we get it to an agent who can. We take great pride in serving our clients. We want our clients to be truly pleased with the service they receive, service that is prompt, courteous, experienced, and professional. We believe real estate is more than a transaction. It's about welcoming people to the warmth, joy, and peace that is home. Of course, we know the Columbus Ohio area well, understand the current market, and can help you buy or sell intelligently. For those relocating from other places, you will find the Columbus Ohio area to have a wonderful mix of friendliness, opportunity, and enjoyable living. We're a great place to visit and an even better place to live! Exit Trinity Realty is proud to provide the service to our clients that says Goodbye, to stressful moves and allow you our customer and client the ability to make your move a much more easier and less stressful by handling all your connections on one dash board from the convenience of your computer with MOVE. "Client Feed Back on Tracy Seabrooks: Closing date, putting all the pieces and moments together and feeling accomplished. Tracy was awesome, very honest and knowledgeable, and no procrastination what so ever perfect for me!"